1. The Romans were the first to make London their home (it was Londinium at the time), in 43 AD. 2. Police never caught Jack the Ripper, London’s most notorious serial killer, and his identity has never been discovered. 3. Feeding pigeons in Trafalgar Square has been banned since 2003 because there were thousands at the time and London Mayor Ken Livingstone clearly didn’t like them. 4. Aldgate Station has 1000 bodies buried underneath it, they probably are people who died during the Great Plague. 5. Harrods sold cocaine until 1916, before it became illegal. 6. Big Ben is not actually called Big Ben but “The Clock Tower”. Big Ben is the name of the bell. 7. Karl Marx wrote his famous work Das Kapital in one of the British Museum’s rooms while getting very drunk. 8. 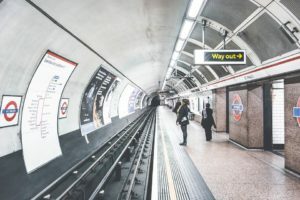 London Underground transports three million people a day but only three babies are known to have ever been born on the tube. 9. London was not always called London. It had a series of names: Londonium, Ludenwic, and Ludenburg. 10. There are many Londons in the world. The US alone has 8 towns with the same name, and there is also one in Canada, situated on the river Themes. 11. It is prohibited to enter House of Parliaments in armor (not that there are so many people still wearing them nowadays). 12. 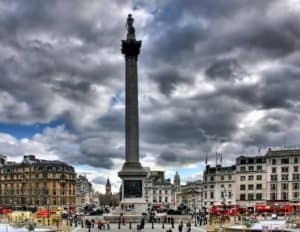 London is the first of the world’s major cities in 2010 that imposed restrictions on the movement speed of pedestrians. If you are looking for an affordable accommodation in the beautiful city of London, don’t hesitate to contact us at London Homestays! We all want to impress our friends with our endless knowledge and excellent sense of humour!